Indigenous people and African descendants in Latin America and the Caribbean have long been affected by a social hierarchy established by elites, through which some groups were racialized and others were normalized. Far from being “racial paradises” populated by an amalgamated “cosmic race” of mulattos and mestizos, Latin America and the Caribbean have long been sites of shifting exploitative strategies and ideologies, ranging from scientific racism and eugenics to the more sophisticated official denial of racism and ethnic difference. 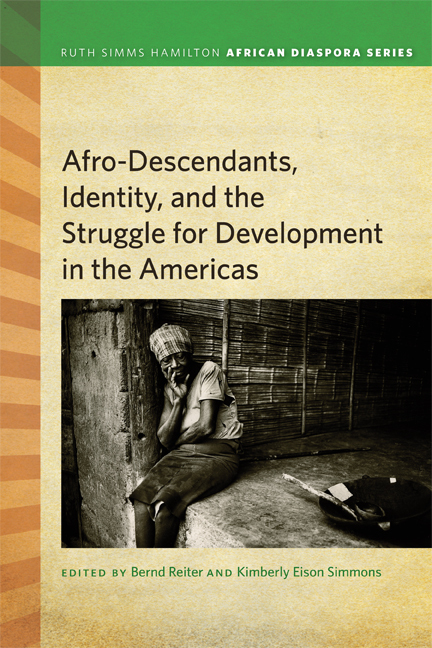 This book, among the first to focus on African descendants in the region, brings together diverse reflections from scholars, activists, and funding agency representatives working to end racism and promote human rights in the Americas. By focusing on the ways racism inhibits agency among African descendants and the ways African-descendant groups position themselves in order to overcome obstacles, this interdisciplinary book provides a multi-faceted analysis of one of the gravest contemporary problems in the Americas. Kimberly Eison Simmons is Associate Professor of Anthropology and African American Studies, Director of the Latin American Studies Program at the University of South Carolina, and past president of the Association of Black Anthropologists.